Reminiscent of Gun Metal but a little blacker. 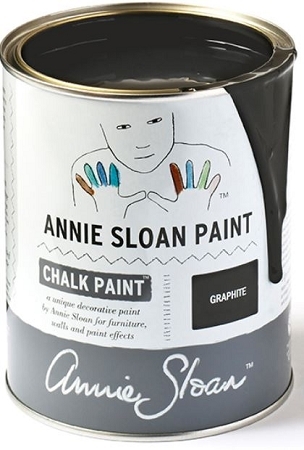 Annie Sloan's Graphite is a soft black - which I like to compare to a dark slate color or a vintage slate chalk board in an old school room! It is made with purplish blues, browns, and is not completely black. When waxed with Annie's Dark Wax- the color becomes even more richer and warm. 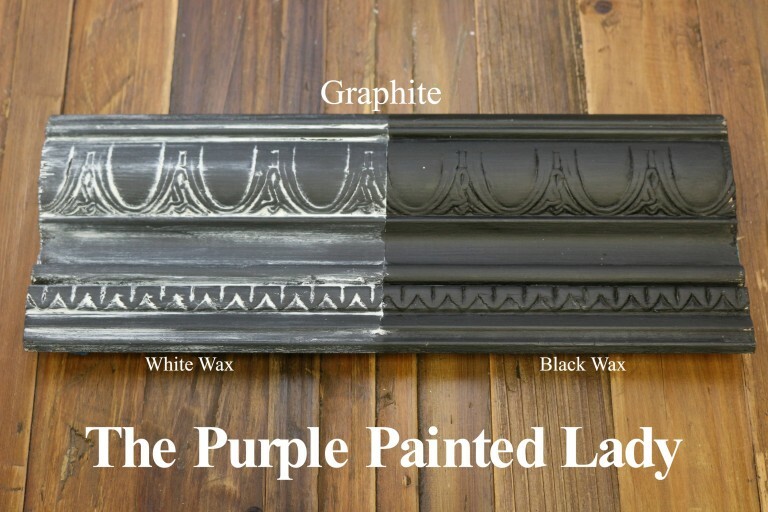 This is a popular color, especially when I am detailing a piece with vintage typography. I receive a lot of emails about this color. First- I want to clearly state again - this is NOT black. It is a rich color - close to being a slate, or think ...dark pencil lead. Depending on the orientation of the surface painted- it can appear darker or lighter. It does have depth and interest- and clearly plays wonderfully with other pieces painted in a true black. When decorating a room- try to avoid the whole "Matchy-matchy" approach. 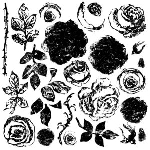 Layer texture, patterns and hues of color....including various shades of "black." This may be a new concept for some of you - but please trust me - it will look fantastic! Just because you have a "black" piece- does not mean you need everything else black. In fact- next time you are in a showroom of furniture- look at a room set up with ALL of the same black pieces...it can become quite ...plain ...and gives minimal interest....it does not provide as much visual depth as a room with varied pieces. But - to clarify- Graphite is not black. 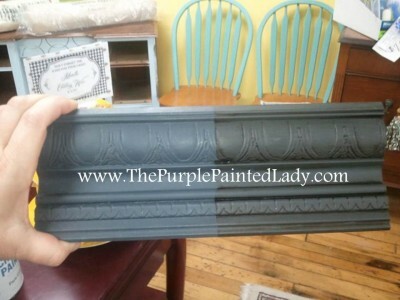 Also add some Aubusson Blue to your dark wax and wax the piece. That's the real recipe for a true black. Make sure you add enough Aubusson blue and don't forget to tint the dark wax. It works and it's gorgeous. You don't have to mess with perfection.